Seek constant, daily alignment with spirit and the higher vibration you have the opportunity to feel and access, and you’ll never be without the greater perception so many of you seek. When you live unflinchingly in the open heart space, your willingness and enthusiasm to contribute to your ongoing conscious revolution by producing as much and as pure spiritual work as you can grows to new heights and you never have any difficulty finding the spiritual/creative flow so many of you enjoy bringing through. Seek open-mindedness and openheartedness throughout your daily existence, and do everything you can to make your lives and the lives of others easy, joyful and free-flowing. Instead of feeding the ego, which will take you off of the paths you’ve planned for yourselves and make it more difficult to reach the heart-centered place that helps you thrive, root yourselves in your heart much as you can and allow the creative/spiritual inspiration that results to naturally flow forth. You have the potential to anchor a wealth of pure energy onto yourselves and the planet around you, and all it takes is willingness to do the things you’ve come to the earth to do. If you’re willing to offer yourselves to your planetary ascension by working as hard as you see fit in every moment, you’ll not only raise your vibration, but the vibration of everyone around you who’s been lost in the strife and turmoil of the lower vibrations for so long that they’ve forgotten that something real and pure exists beyond their concrete physical perception. The realization that spirit exists and is constantly with you will help many of you pull the divine energies that help you thrive to yourselves, and keeping in mind that you maintain and can access a constant connection with spirit will help you make this connection when it feels unattainable. It isn’t, but there’ll be times when your consciousness is more attuned to your surface perception and it’s more difficult to find the greater flow that helps you produce wonderfully pure works of spiritually inspired art. Your creativity’s more important than we can express, and in many cases, the souls who channel us have a wealth of inner creativity that they’ve used to raise the collective vibration. One has to have some imagination to believe they can connect with various higher-dimensional souls who watch your earthly ascension play out with love, and from our perspective, imagination is a very good thing. As you’re learning, what you’ve perceived as your imagination is really your etheric ability to create, and when you imagine something, you actually create it in another realm. The realm you use your imagination to create in is, in most cases, your personal etheric realm that you can constantly access and create various things in. One of the things you can use this realm for is to connect with your higher self, your guides or another higher-dimensional soul who clamors to get your attention, and if you’re willing and motivated enough to communicate with us every day, the connection you strive to attain will be very pure and you may wonder why you ever chose not to open up to our energies and expressions. We note that many of you tend to have trouble transcending the constant wants and desires of the ego, and this is one of the reasons we mention the ego so often. We want to help those of you who feel stuck between your growing spiritual desires and your lower, ego-driven desires, and while we’d expect that most of you would know by this point which desires are more worthwhile and wholesome to feed, we’re happy to help you in your attempts to move beyond any ego-driven wants that still remain within. We know you can tell by this point that the ego only seeks stimulation and the destruction of the human spirit, but we don’t intend to paint it as a boogeyman that needs destroyed or all-out transcended before you can enjoy any sort of spiritually inclined existence. 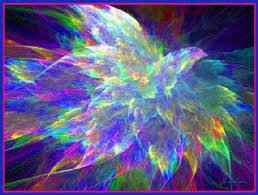 This isn’t so, and in fact, the ego can and should be a wonderful tool for the expansion of your consciousness. Our scribe’s technically using his ego as he channels us, but he isn’t using it in the traditional or typical way that’d drag on his consciousness or his wholesomeness. His mind and ego are open and interpreting the flowing energies and expressions we in the higher realms are giving him, and from our perspective, this is the proper way to use them. The mind and ego can be wonderful tools that help you anchor spirit onto your lost planet if you allow them to, and the more you embrace your spirituality and the creativity that comes with it, the more you’ll recognize that embracing them is very important. What we mean is that the more you practice channeling, writing, music or anything else that fills you with the spirit, the more the importance of these things rises in your sphere of perception. You’ll eventually see that you aren’t meant to feed your energy into anything but the creative/spiritual practices that help you thrive, and when you do, we can envision all of you happily turning your attention fully to spirit and what you can do to anchor the love that’s been missing from your planet onto your collective consciousness for everyone to benefit from. We note that when any given seeker taps into a very pure creative/spiritual flow, they recognize its tremendous effects and they feel very motivated to continuously access it and use it for their benefit and the benefit of the rest of the conscious community. Your little community is growing by the day, and the strength of your efforts grows with each potent attempt you make to connect with the higher realms and use your creativity for positive and progressive purposes or do anything else that’s intended to raise consciousness and awareness and advance the pace with which your collective evolution proceeds. We wholeheartedly encourage you to continue embracing the work you’ve come to the earth to do, because your busyness in the name of spirit is very, very important. The ego seeks the constant stimulation that feeds it but keeps you from doing the things you’re on the earth to do, and soon enough, we won’t feel the need to keep discussing it because more seekers will have understood its destructive intentions and begun using it the way it’s intended to be used. With the amazing and paradigm-shattering things you have the potential to do on the surface of your once lost planet, you have little reason not to embrace the greater creativity and spirituality that’s leading you back into the higher realms. With all of this said, we’ll answer the question we’ve been given on this day. 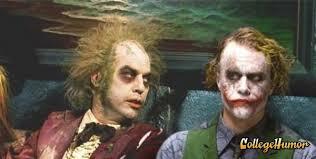 “Can you share with us some insight about Tall White alien race? There are certainly negative extraterrestrial species out there who seek the destruction of humanity and the earth, some of which have worked with your cabal for centuries and, in your most recent decades, performed abductions, cattle mutilations and a host a of other negative and self-serving phenomena in exchange for their advanced technology, but by no means do the negative species make up your entire galactic family. The overwhelming majority of galactic civilizations are positive, spiritually evolved and seek to help humanity out of the lower vibrations you’ve been enmeshed in for millennia. Such is the case with the Tall White species, who are positive and seek only to influence humanity in a positive way. We won’t say there haven’t been certain factions of this race who’ve fallen in line with some of the more self-serving and negative races, and in the same vein, there are factions of the Zeta race, the Annunaki and various others who’ve renounced their self-serving negativity and turned to the light. The subject of positive and negative galactic races can be difficult to explain, because there are positive factions within negative races and negative factions within positive races. 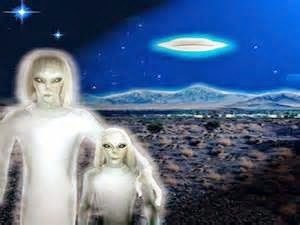 The Tall White species, along with the Pleiadians, Sirians and various others, seek to help humanity spiritually thrive; to help you climb out of the darkness that’s been commonplace on your planet for millennia, and they’ve influenced your history throughout various time periods. They’ve helped shape various ancient and advanced civilizations that existed on your planet, the majority of which you don’t hear about because their existence has been suppressed, and they seek to help your current society open up to spirit but are limited in their ability to do so. The Tall Whites don’t offer as many craft sightings as the Pleiadians and Sirians, but they still do what they can to positively influence humanity and help you find the good vibration that’ll lead you back into the higher realms. They offer the occasional sighting, and they’ve made occasional direct contact with receptive individuals in your most recent decades, but for the most part, they work to spiritually influence humanity. 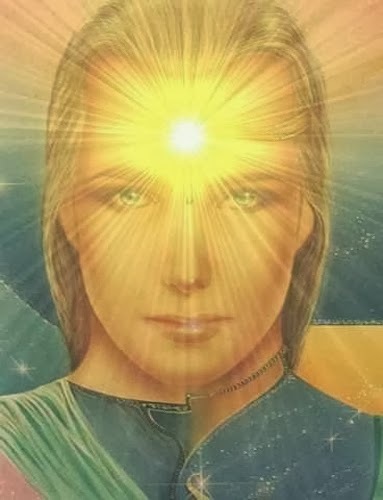 They work from the other side of the veil to make contact with the minds and hearts of any receptive individual who can open up, and just like our scribe channeled the Pleiadians in a recent message, he could open up and channel this species if he decided to. He’s more comfortable sticking to communicating with us, his higher self and guides, but this doesn’t mean another receptive seeker out there couldn’t open up to the Tall Whites and channel communications from them all day long if they wanted. Humanity’s channeling abilities are realer and deeper than we can express, and you can communicate with myriad positive extraterrestrial species who are doing everything they can to contact you and help you see that they’re very real and they aren’t the negative species you’ve been familiar with. 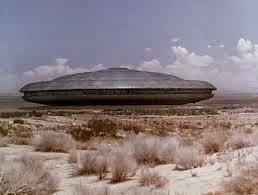 We feel the need to repeat that the negative phenomena that’s associated with extraterrestrials in your day and age, such as abductions and cattle mutilations, were performed by negative and self-serving species who exchanged technology with your cabal and gained permission to do such things. Your cabal profited from their actions as well, because they seek to present the extraterrestrial subject to humanity in a fearful light. Team Dark wants you to think that if extraterrestrial life is out there, then the only galactic species you could come across are negative and seek humanity’s destruction. They want you to be afraid of your cosmic backyard and your cosmic family, but those of you who are awakening are far too aware to fall for their tricks. The Tall Whites come from a planet just outside of your solar system (and some of them dwell on a few planets that are in your solar system). They, like many other galactic species, possess a wealth of advanced technology that they’ll happily share with humanity when the time comes. Their focus is, again, more on the spiritual aspects of your ascension, and whether or not one chooses to make contact with them, they influence humanity through your minds and hearts in other, shallower ways. 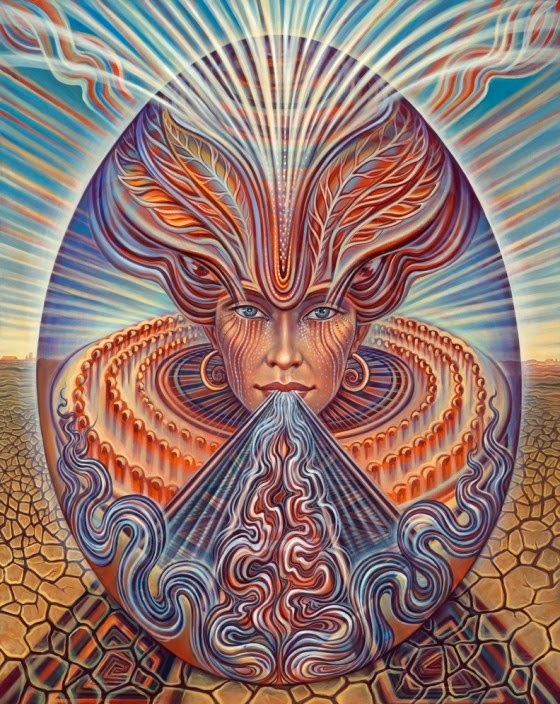 Even though one’s higher self and guides are primarily responsible for communicating through one’s mind and heart, the Tall Whites will occasionally communicate through the intuition of a seeker who once lived on one of their planets or was a part of their society before coming to earth. 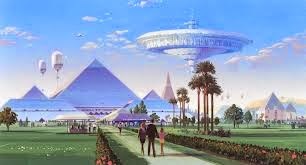 When you’re back in the higher realms, you’ll see that you all existed on different and diverse planets before you came to earth, and many of the seekers who are on your planet right now were part of the Tall White species before they started their earthly adventure. Those of you who were part of this race are given nearly constant energy and guidance from your brothers and sisters who are still on the planets you willingly left behind to experience the pains and stresses of the earth, and the more open and receptive you are, the easier it’ll be to receive and act on this guidance, traversing the best and purest possible paths in the process. Those of you who’ve started to connect with your brothers and sisters who part of this species are noticing the massive positive effects it’s having on you and your existence, and as long as you continue to be receptive to the guidance they offer via your intuition, you’ll never traverse a path that isn’t right for you. The Tall Whites, along with the rest of the Company of Heaven, seek to do everything they can to positively influence you, and we implore you to open up to them when you could otherwise remain closed-off. Before we make our final expressions for this communication, we want to reinforce our encouragement for all of you, including our scribe, to continuously embrace your spirituality and the creative work that comes with it instead of the wants and desires of the ego. We know we have little to worry about given how receptive to spirit you’ve already become, but we note that there are times when feeding the spiritually depleted state the ego would have you exist in seems like a better choice, and it’s usually because this state has something physically or instinctually appetizing to offer. Instead of listening to the ego, go out of your way to listen to the expressions of the open and receptive heart space, for this, along with your intuition and all of your chakras, is your line back to the higher realms. You receive insight from your intuition via your third eye, and the rest of your chakras also play a very important role in bringing through the energy and inspiration that helps you do the work you’re on the earth to do. We implore you to continue to live for spirit every day, and even if you find you’ll be out of the house or doing some type of task on any given day that stops you from doing your spiritual/creative work, strive to do at least a little bit of work instead of blowing it off entirely, because you’ll notice the tremendous effect it has on your day. We know there will be days when you simply have to leave your spiritual/creative work in favor spending time with family or doing something else that clamors for your attention and energy, but you can do small things here and there on these days to still live for spirit and your work. You never have to go without channeling, writing or anything else that fills you with passionate inspiration and helps other seekers gain a perceptual leg up on your difficult planet, and we’ll make our final expressions for this communication with endless encouragement to offer yourselves to your planet’s ascension when it’s easier not to. There’ll be plenty of times when resting or doing something that doesn’t feed your growing spiritual perception sounds more enticing or appetizing than living for spirit, and your spiritual existence may be humble, but it’s also very powerful. Embrace this powerful humility, and know that your presence and the work you’re doing is very important. Every higher-dimensional soul who’s fixated on your planet’s ascension watches you do the work you’ve come to do with wonder, amazement and bewilderment, and many of us wouldn’t have been able to be as strong as all of you have been. This is why we’re communicating with you from the comfortable higher realms instead of existing right with you on the earth, and if many of us were on earth, we’d probably require a lot of assistance from you and the Company of Heaven just to get by, much less do anything spiritual or creative. We’re cheering you on, and even in your most difficult times when you can’t seem to find the flow that helps you creatively and spiritually thrive, know that you’re endlessly guided, supported and loved by every facet of consciousness in these higher realms who’s focused on your earthly ascension. The things you’re doing will always be more important than we can express, and when you’re back in the higher realms helping various other planets and civilizations ascend, you’ll look back on your earthly experiences with the knowledge that the things you did were indeed very important and helpful. Keep this in mind in your most difficult times, and seek to constantly express the overflowing love and joy you’re receiving from the higher realms to those around you.